As people expand their use of personal mobile communications, there is an increasing demand for innovative ways to transfer funds electronically. While some such applications exist, such as Internet banking apps, there is a need seamlessly and flexibly to generate transactions at a consumer level. Using the system implemented by our project, a consumer can choose to initiate a financial transaction using our application running on an electronic device. 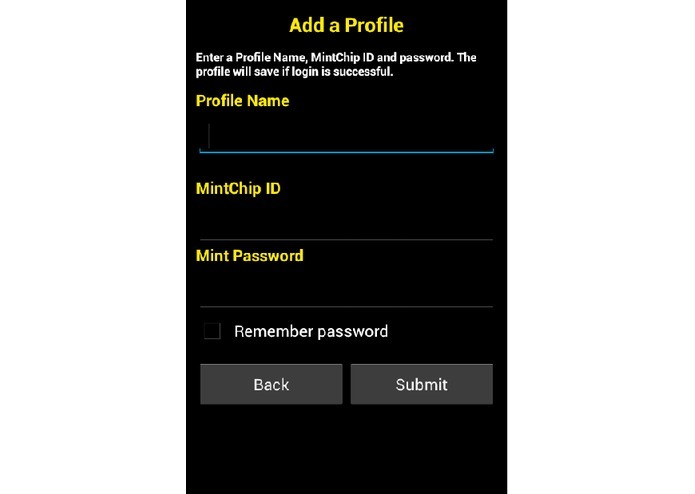 The application may access funds from any number of MintChip accounts be setup in our tool and submit to any other MintChip account used by our tool. 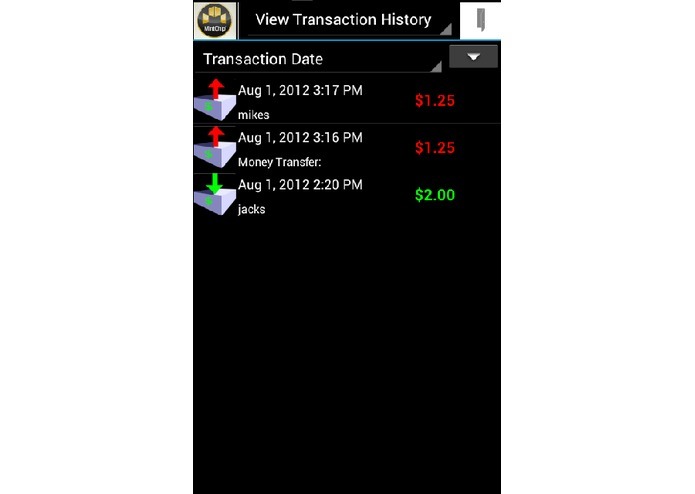 This system provides users with multiple ways to initiate and conduct transactions. 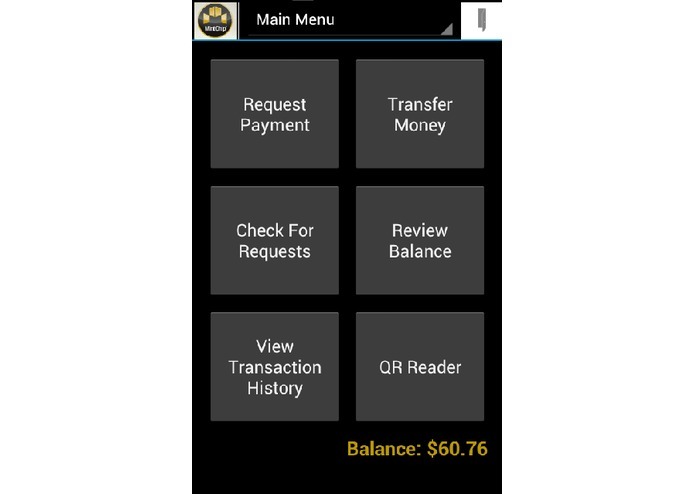 It implements Near Field Communication (NFC), Quick Response (QR) Codes, and wireless transfers to help a user conduct a transaction quickly and expediently. Our system also implements a brokerage system on the cloud that helps facilitate and record transactions. And it provides an API that, when granted security rights, allows third party software such as Quicken, or Mint.com financial management packages to download financial data, helping users track their finances. 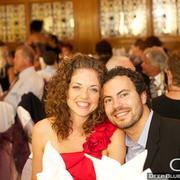 Charity event organizers solicit donations by placing QR Codes around a room. At a garage sale, a buyer wishes to purchase an item. The buyer puts a NFC capable device back to back with a seller NFC device to transfer money. 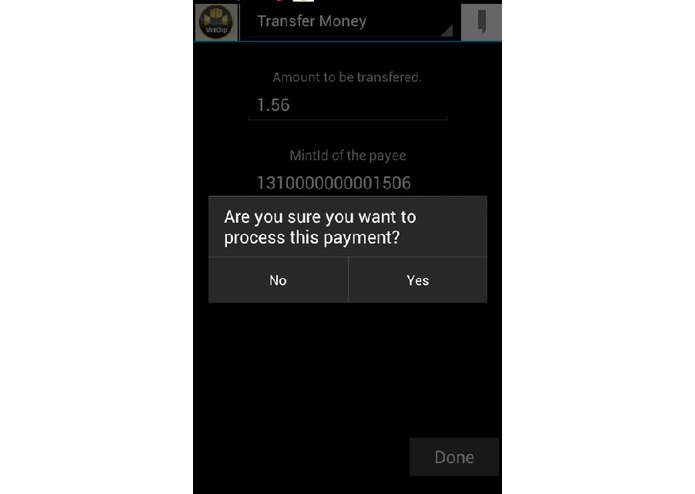 One user wants to transfer money to another user some distance away. 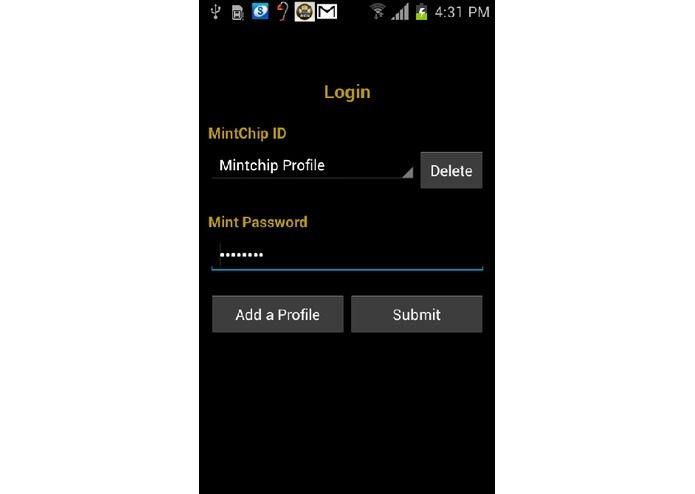 With an ID, they can accomplish this over a wireless or cellular network.